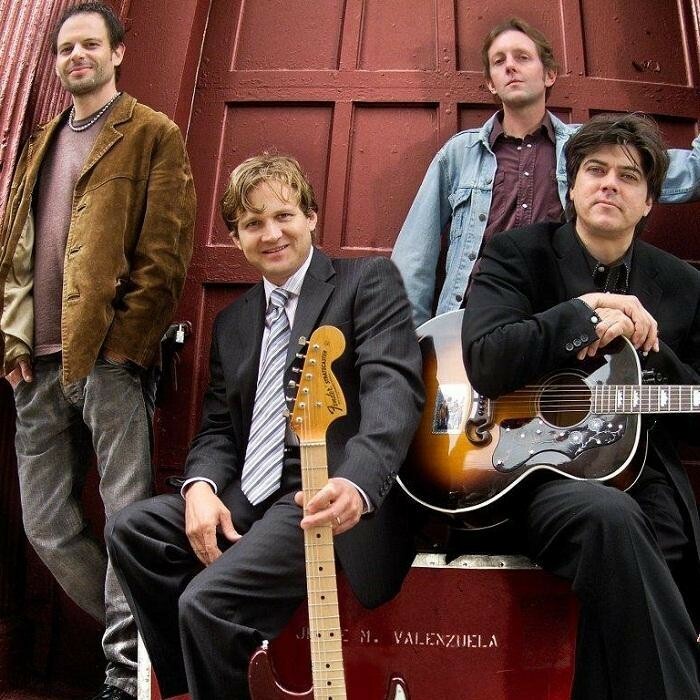 Gin Blossoms are an American pop rock band formed in 1987 in Tempe, Arizona. They broke out with the song "Hey Jealousy" from their successful major label debut, New Miserable Experience (1992), but this achievement was coupled with the firing and eventual suicide of the song's author and band co-founder Doug Hopkins, prompting the title of their follow-up album, Congratulations I'm Sorry (1996). After a series of charting singles, the band broke up in 1997. After they reunited in 2002 they released a fourth album, Major Lodge Victory, in 2006, and their fifth, No Chocolate Cake, in 2010.